My name is Esa Onttonen (b. 1975) and I’m a composer and guitarist living in Helsinki, Finland. I mainly work in the field of jazz and improvised music but I’ve also played rock riffs on electric guitar and written scores for classical orchestras. I’m a co-leader of groups Gourmet and Gnomus which have released a total of eight albums and performed in Austria, Belgium, Czech Republic, Estonia, France, Germany, Hungary, Morocco, the Netherlands, Norway and Russia, in addition to several tours in Finland. 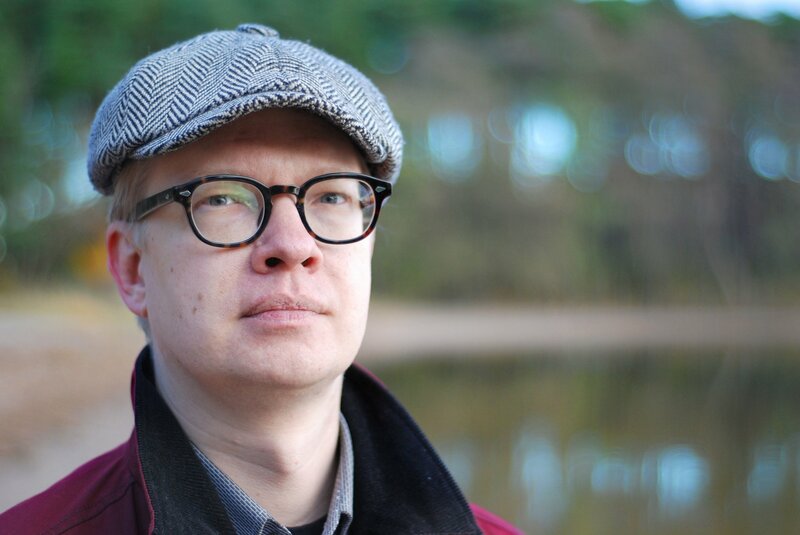 My regular collaborators include saxophonist Mikko Innanen, drummer Mika Kallio and pianist Kari Ikonen. With me they are also the founders of the record label Fiasko Records. Two of my co-produced/composed/performed albums on Fiasko, Diagnosis by Gnomus (2007) and Gourmet’s Cosmopolitan Sideshow (2011), were nominees for Emma Award for the Jazz Album of the Year. The latest release to feature my music is En garde (2018) by Gourmet. I have written commissioned compositions and arrangements for orchestras such as Finnish Radio Symphony Orchestra, UMO Jazz Orchestra, Virtuosi di Kuhmo, St. Michel Strings, Uusinta Chamber Ensemble, Kaartin Seitsikko, Jyväskylä Big Band, Ebeli Big Band and Avanti! (with Badu Ndjai), and soloists Jukka Gustavson, Mikko Innanen, Jukka Perko and Tomasz Stanko. Since 2006 I have worked on several occasions in artist residencies in Paris, Rome and Prague. As guitarist I have played and recorded with my own co-led groups Gnomus and Gourmet and as sideman with Halme Prospekt and many others. In 2017 I began to develop a solo project for electric guitar and computer-based processing, with the debut performance taking place in La Villa Des Arts, Paris in May 2017. Music Finland Composer Profile - list of works. LinkedIn profile - teaching career, education.